Some of you may know if you follow my Instagram that I am pregnant with a baby girl (due June 5th!) and recently I took a little staycation instead of a baby shower with some of my best girlfriends. There was a spa day, a dinner out, and brunch the next morning at one my favorite Reno restaurants–Midtown Eats. Normally I’m all about that brunch cocktail life, but since that’s obviously not an option, I had a housemade soda with cardamom and strawberry syrups and it was such a good combo! 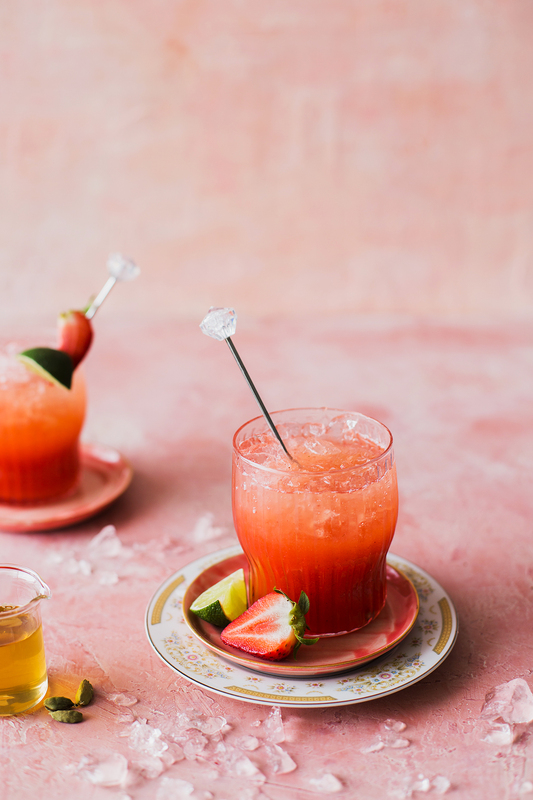 That soda directly inspired this margarita made with a fresh strawberry puree, cardamom syrup, fresh lime juice, and a splash of soda water for some sparkle. 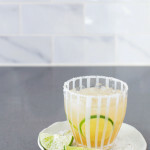 It turned out so well with the bite of tequila (of course, I abstained but Sean loved this margarita!) 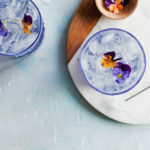 and makes an excellent mocktail sans tequila. Either way, it’s a refreshing, gently spiced version of a classic that you should definitely try. 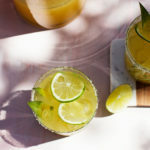 Bonus, I made these in celebration of #MargaritaWeek, hosted by ¡Hola! Jalapeño, just in time for Cinco de Mayo. 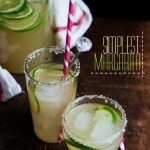 Visit the page for ALL THE margarita inspiration! You can use either whole cardamom pods, gently smashed, or ground cardamom for the syrup. The whole pods will have much more flavor, so if you end up using ground just double the amount to 2 tablespoons. Depending on the sweetness of your strawberries, you may need more or less sugar for the puree…use your judgment and adjust to taste. Both the puree and syrup can be made ahead of time and refrigerated until ready to mix! 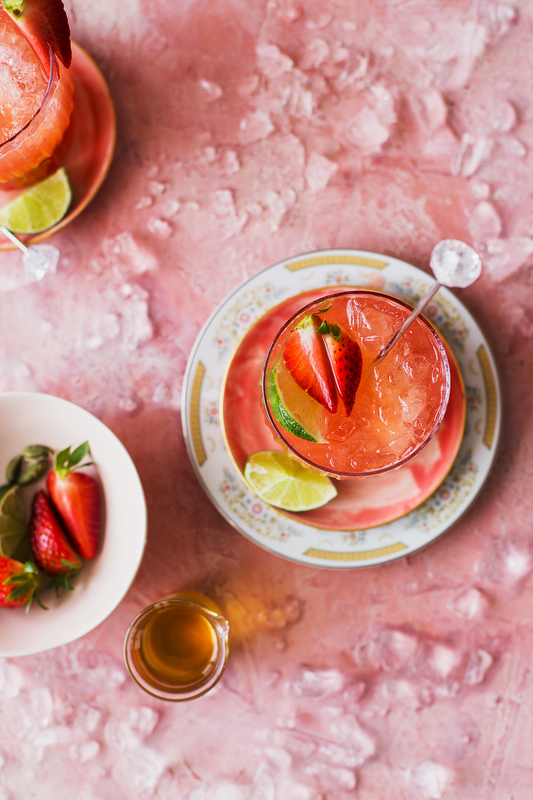 A refreshing gently spiced margarita with fresh strawberry puree and cardamom syrup. 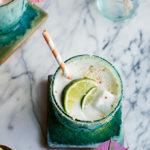 Stir the strawberry puree, cardamom syrup, lime juice, and tequila together in an 8-ounce glass. 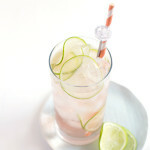 Add ice and top off with soda water. For the cardamom syrup: In a saucepan combine all of the ingredients for the cardamom syrup and bring to a boil. Remove from the heat and allow the syrup to steep for 15 minutes. Strain through a fine-mesh sieve and discard the pods and seeds. Cool completely before using. Store in a lidded container in the refrigerator for 1-2 weeks. For the strawberry puree: Combine the strawberries, sugar to taste, and lemon juice in a blender and pulse until completely pureed. Strain through a fine-mesh sieve, pressing if needed. Store in an airtight container in the refrigerator for up to 1 week. Thank you! It’s so crazy how fast they grow!